A sigh of relief is in order at the embattled UK oil major. It settled with Uncle Sam for $4.5 bln – less than feared. But it’s not over. 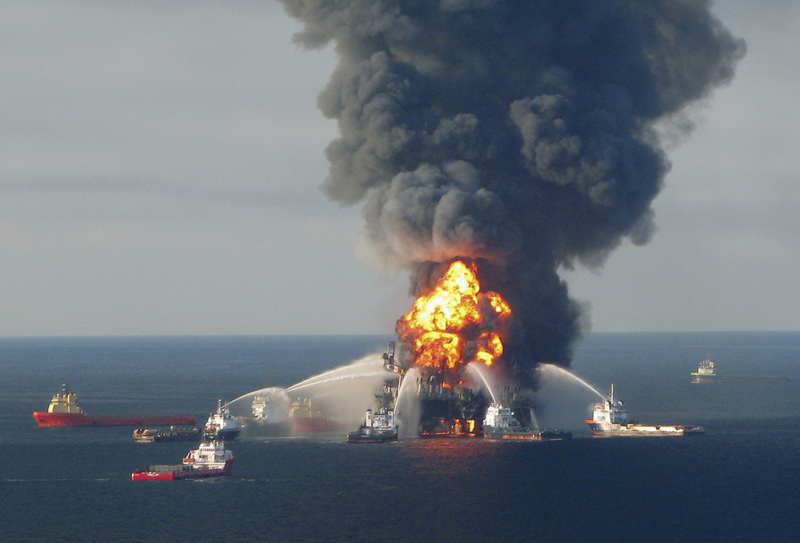 BP’s admission of criminal guilt in the 2010 Gulf spill could be used in a high-stakes civil trial. No wonder investors aren’t cheering. Fire boat response crews battle the blazing remnants of the offshore oil rig Deepwater Horizon, off Louisiana, in this April 21, 2010 file handout image. The trial to decide who should pay for the 2010 Gulf of Mexico oil spill has been delayed by a week, to allow BP Plc to try to cut a deal with tens of thousands of businesses and individuals affected by the disaster. Less than 24 hours before the case was set to start in a New Orleans federal court, U.S. District Judge Carl Barbier pushed back the date to March 5, 2012 from February 27, 2012. BP on Nov. 15 said it had reached agreement with the U.S. government, subject to court approval, to resolve all federal criminal charges and all claims by the Securities and Exchange Commission against the company stemming from the 2010 Deepwater Horizon accident, oil spill, and response. The settlement of criminal charges with the Justice Department involves a payment of $4 billion, including nearly $1.3 billion in fines, in installments over five years. BP will also pay the SEC $525 million. The company said it had agreed to plead guilty to 14 criminal charges, 11 relating to the 11 lives lost in the accident. A separate civil trial to apportion blame for the disaster is due to begin in New Orleans in February. BP said it would continue to vigorously defend itself against all remaining civil claims, which include federal civil claims under the Clean Water Act, federal and state natural resource damages claims, certain private civil claims and securities claims, state economic loss claims, and miscellaneous private civil claims pending in other federal and state courts. BP’s shares closed down 0.4 percent in London at 424 pence.